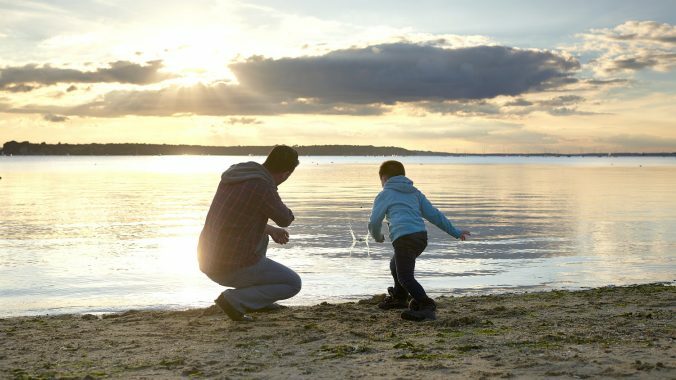 If you have lost a loved one or friend who loved the sea, there is a very fitting way of setting up a website to collect and share memories and photographs. The RNLI have a free-to-use tribute portal called “Forever By The Sea”. All you need to do is visit this RNLI page and ask via their page for a tribute to be set up. There is no obligation to collect funds but people will probably want to donate something anyway. It is all in a very good cause and there is something lasting to share, visit and revisit. Finally…we had the competition on 30th December after week upon week of postponements due to the weather (seven times because the day before Christmas Eve was never going to make us popular). We even had a few settled days beforehand to get into the swing of things after two months of being stuck ashore. Although overcast, visibility was good, it wasn’t too cold and a slight westerly breeze gave us plenty of options. A total of 102 anglers signed in, with 45 boats mostly heading out from Southsea Marina, the Eastney ramp or ECA. 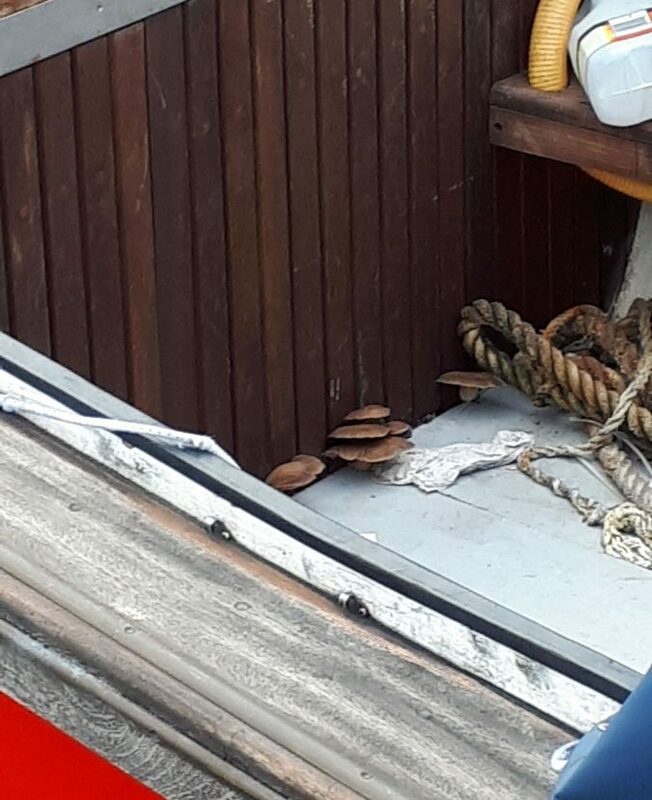 After hearing a bit of chat on VHF it appeared that more fish were being caught inside the Nab rather than further out. Weigh-in was 4.30pm so most of us were back in our berths by dusk, waiting to see if this years’ results would be better than last. 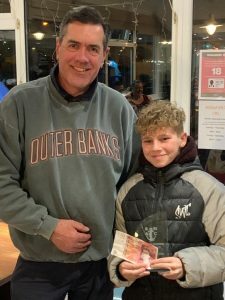 Although the winning cod wasn’t as big as last year we were pleased that five cod weighed in (only two in the 2017 competition) and we had the main prizes awarded to cod with a number of good whiting as runners-up. 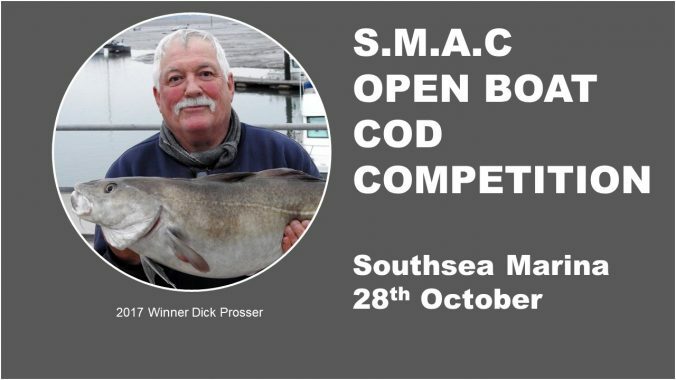 The winner was Tim Andrews, our SMAC Commodore with a cod of 9lb 2oz. Tim would usually hand out the prizes but as he was a recipient this time, yours truly didn’t duck fast enough and had the honour of handing out the prizes and congratulating the winners. 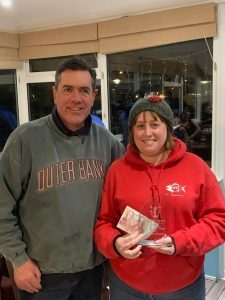 There were also prizes for Ladies, won by Hayley Ellis and a Junior prize won by Michael Houghton. 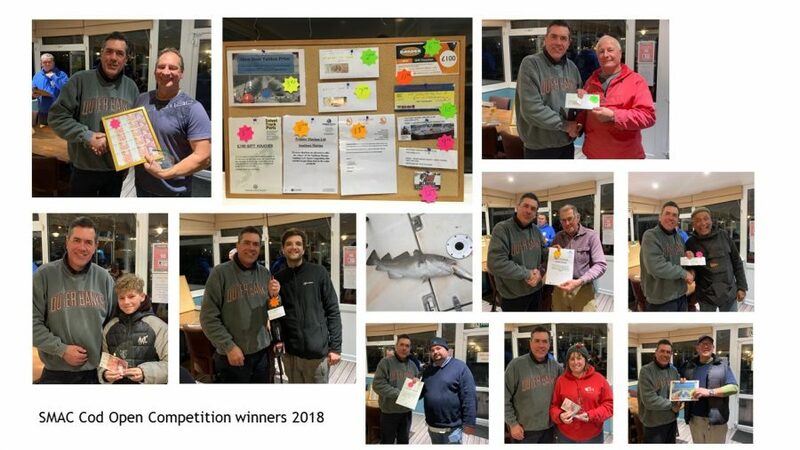 We are very grateful for the support and prizes from the following: Portsmouth Marine Training; Allan’s Marine; Solent Truck Parts; Barden UK; Premier Marinas, The Marina Bar and Cafe; Pete Kilshaw (Sportsmans Knight); Adam Houghton (Anglers Edge); Baits ‘R Us; Lock Stock and Tackle. 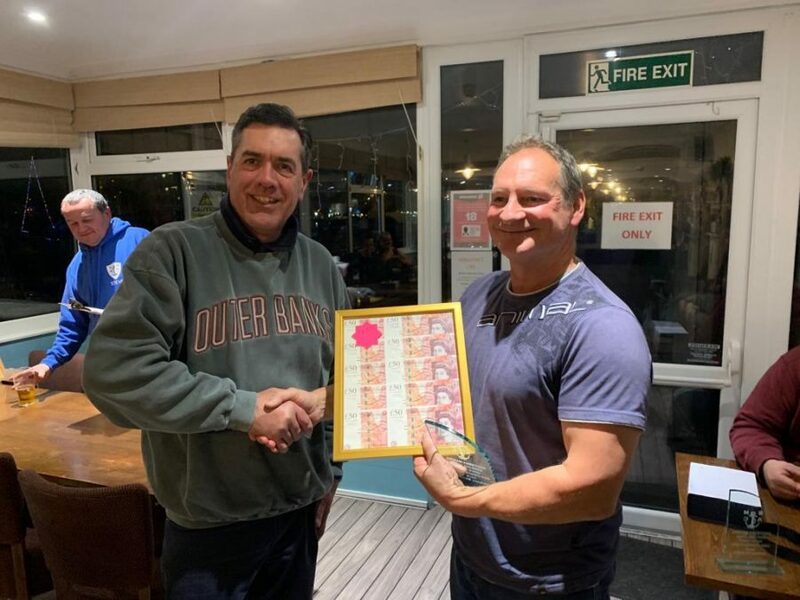 The entire event would not have been possible without the hard work and commitment from SMAC Chairman Steve Kelly who made sure 102 anglers had a great day. Thanks again Steve. PS Thanks to Steve Andrews for taking the photos! Today the EU Council announced an agreement on the 2019 catch limits for commercial fish stocks. The agreement was based on their commitment to the objectives of the Common Fisheries Policy (CFP): environmental, economic and social sustainability. For bass anglers, the main change is that we have a limit of 1 bass per angler per day from 1st April to 31st October. Any fish caught above the limit during that period must be returned unharmed and any bass caught outside the limit must also be returned. No bass may be retained under the MLS. We had hoped that bass would be further protected by a proposed increase in the restriction on the fixed netter’s daily catch limited. However our own Fisheries Minister, George Eustice, and Defra completely rejected this. For the third year running, the UK has agreed to unenforceable ‘unavoidable bycatch’ restrictions for fixed netting. We think that the UK Government has taken a disgraceful position on this. Information on the Save our Sea Bass campaigning group. What is the value of Sea Bass? Our natural wild Sea Bass is priceless and irreplaceable. But it has been over-exploited by commercial fishing for short-term profits. We need to radically overhaul the Sea Bass Fishery to maximise the environmental, social and economic benefits to Society as a whole. We are running out of time to prevent a complete collapse of the Sea Bass stock. 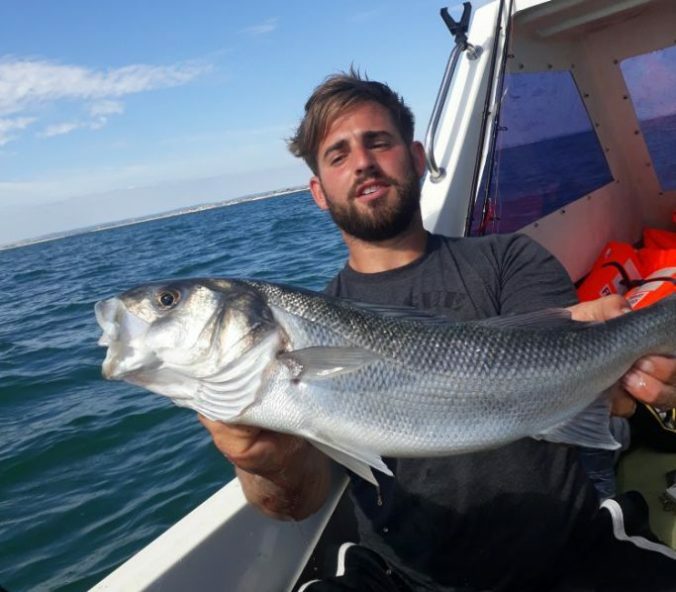 Immediate action is essential if we want to save the Sea Bass stock for future generations, as well as a long term management plan to ensure the current over-fishing is never repeated. Who are Save Our Sea Bass? 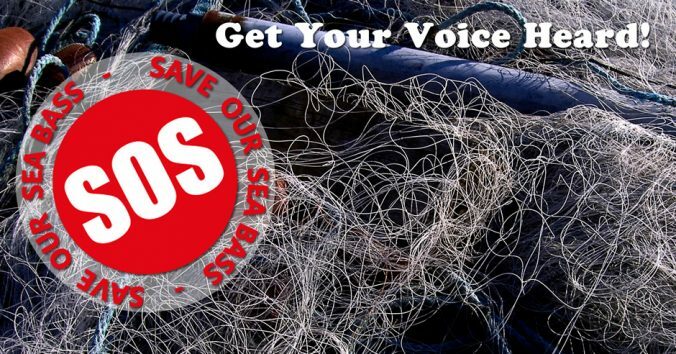 We are a team of unpaid volunteers who are using the internet and social media to raise awareness of the drastic state of the Sea Bass stock and to help other concerned individuals to get their voices heard by the decision-makers in the UK and across Europe. A number of us are members of the Bass Anglers’ Sportfishing Society (BASS) and this website is funded by BASS. What is Save Our Sea Bass working on now? In response to the June 2016 ICES assessment, recommending a zero Sea Bass catch in 2017, Save Our Sea Bass has launched a new campaign to restrict the Sea Bass Fishery to sustainable fishing methods only (i.e. Hook & Line – no long-lining and no netting), carried out at sustainable levels. Who else is speaking out for Sea Bass? 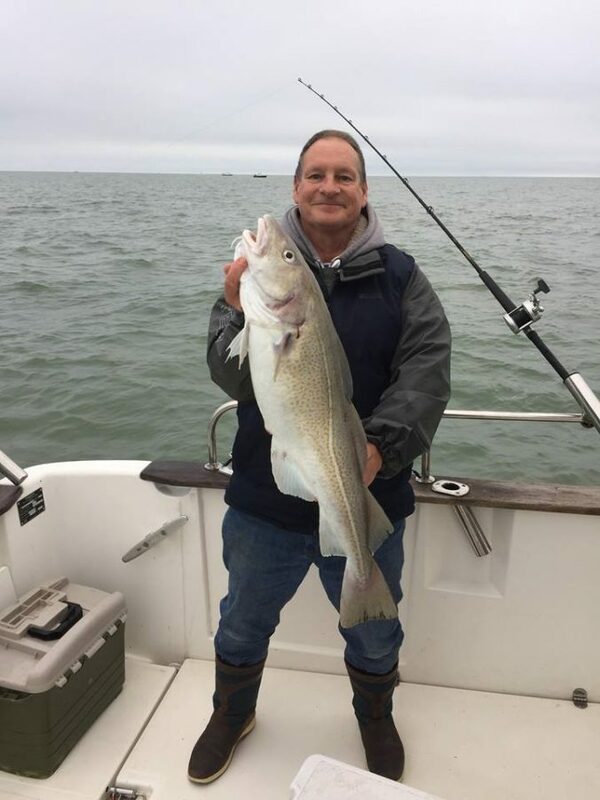 Save Our Sea Bass is working with a number of other bodies seeking a sustainable bass fishery. BASS has been researching and promoting bass stock conservation since 1973. The Angling Trust and the European Anglers Association are lobbying Fisheries politicians and Fishery managers in the UK and in Brussels. The New Economics Foundation is demonstrating the economic case for fishing bass sustainably. The Blue Marine Foundation is encouraging stakeholders and Fishery managers to work together to find a solution. SOSB is at the heart of the debate on the state and future of Sea Bass and is a first port of call for those interested in understanding the Sea Bass problem. We provide briefings, updates, interviews, articles, photos and videos to assist journalists, media and other parties researching the Sea Bass issue. 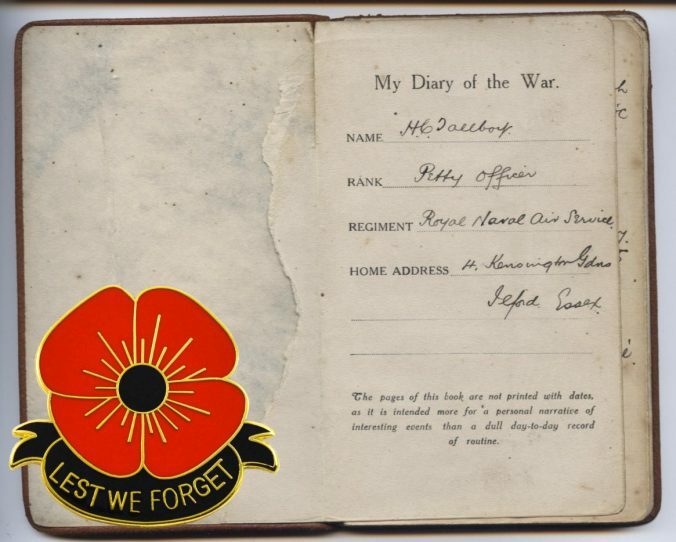 Here are just a few poignant extracts from the War Diary of of our distant relative Harry C Tallboy, which describes events leading up to and including the Gallipoli landings. Thurs 25. Left Air Shed at 7.30 in Ford car with Freddy Wray for Yelverton. Breakfast at Staines. Went thro’ Aldershot, Basingstoke, Salisbury – lunch…. Sat. March 13th . Pleasant morn. Spent scrubbing. Went to Naval Hospital Grava Place (Malta). Got all our surgical stores aboard. 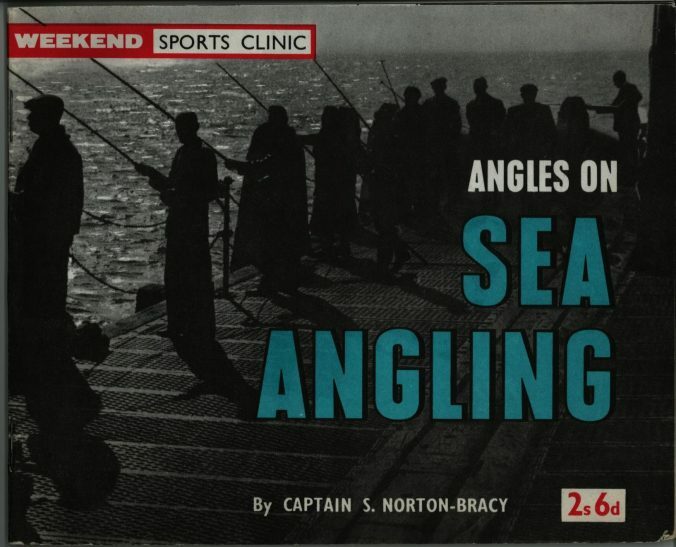 Relieved guard till 6.30 Went ashore with Eccles till 11pm. Various cafes. Had fine dinner…. Thurs. 29th April. Landed at Dardanelles early morning. At Gaba Jepe. Marched with guns and ammunition up hills to just behind firing line. Bullets, shells shrapnel and incendiary. Hell upon earth. Digging all day and ducking from bullets. On sentry at night for one hour. Awful suspense. Had our guns mounted in trenches on hills. Incessant rifle firing night and day…. Friday 30th. Weather glorious. Major Risk wounded, shelled with shrapnel by the Turks. Orders received to take no notice of white flag. Hear that Australians lost immense numbers on landing last Sunday. Commander Lambert wounded. Poor old Billy Wilsden killed. Watson, Wallace, Cole, Ridley, Marchant, Cooper, Lew, Stacy, Dillon all wounded…. May 1st Saturday. My birthday. 28. In the trenches with maxim. Under fierce shrapnel fire. 214 shells falling in 10 minutes. Continuous shelling for about 4 hours. Took 3 hours to crawl about 300 yards. Absolutely hell, a regular birthday present. Received letter in trenches for AGCE. Leut. Comm. Boothby killed…. Thursday 13th Still in trenches. Had some food at last and got some sleep. Armstrong shot though head. Christened aeroplane “Tantalising Tommy”…. Sat. 15th. At base. Shrapnel over in morning. Fryers (No. 4 Squad) killed, a few yards from me. Received letter from Emma…. Sat. May 29th In trenches. Very hot – quiet. Good sport shooting frogs in pond, no Turks being available. Wrote Emma and GP. Poor old Eccles shot through the neck…. Friday June 4th Moved gun position. Great attack. Indescribable. Austin killed (died in my arms). Everitt and Wray wounded by shrapnel next to me. Leut. Weightman killed. I am the only one left. Gun put out of action. Brought gun back miles to camp. Done to the wide. Carried Austin and Everitt to base through trenches…. Sat June 5th. Returned to trenches. Dug grave and buried O’Neil and Bishop. Returned to old gun position and collected goods. Found Leut. Weightman and Austin ready for burial. Discovered that my name had been sent down as killed. Returned to camp in aft. Many Turkish prisoners passing camp. Wray returned to camp…. Harry C. Tallboy survived the war and married Emma. He served in the RAF in WW2 and died in 1971. The second talk at the recent Premier evening at Port Solent was from Jonathan Turner from MAST Consultancy, an ex-Navy helicopter pilot. He explained to us the procedures for the recovery of a casualty from a small vessel. This was good to know – here’s a summary of how a “High-line” recovery works from the start, so you know what to do before the crewman arrives on deck to help you. The local AW189 helicopters at Lee-on-Solent are LOUD. This means you won’t be able to talk when it is overhead, so get yourself organised before it comes in to hover. Take down sails and fasten anything than could get blown about. Get decks and cockpit as clear as possible. Wear rubber gloves and rubber-soled boots if possible, to minimise risk of electrical shock (see below). Helicopters like to hover at 40 feet for safety, but masts etc. often stick up more that 50 feet so there is a procedure called a High-line where the time spent at a greater height over the casualty is minimised. You will be instructed by the pilot (not the crew) over VHF, so follow instructions closely. 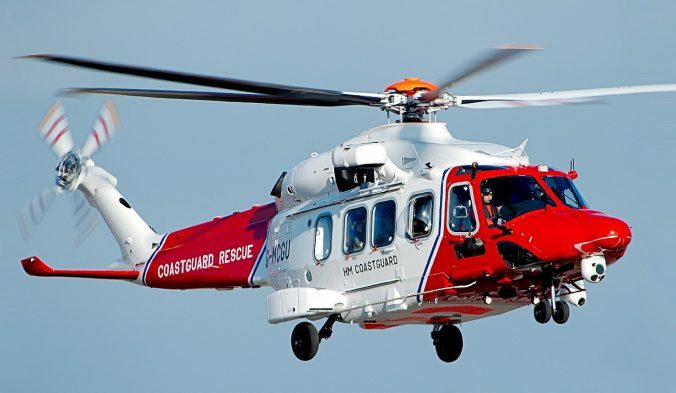 It is easier for a helicopter to fly along slowly than hover so small vessels are usually given a course to steer and the helicopter will follow on the port quarter (the pilot looks out of the right front windows). On very small boats it is difficult to follow an exact course so you may be asked to remain stationary. The helicopter will hover over you and drop a bag on a rope. DON’T touch this until it has first touched the sea or vessel, because it will be very highly charged with static electricity and you can get a severe shock before it is earthed. The helicopter will then move to the side and you can pull the rope towards you, coiling the end into a bucket to avoid tangles. NEVER attach rope or cable to the vessel. Pull the rope as the winchman lets the cable down, usually they will drop a crew member down first. Use the rope to guide the cable and person/harness/load towards you. At this point the helicopter will move over the vessel. As soon as the cable and load has touched down the helicopter will move off to the side again. Pay the rope out which will still be attached to the cable. The helicopter crewman on your vessel will then take over, assess the situation and arrange for the casualty to be evacuated. 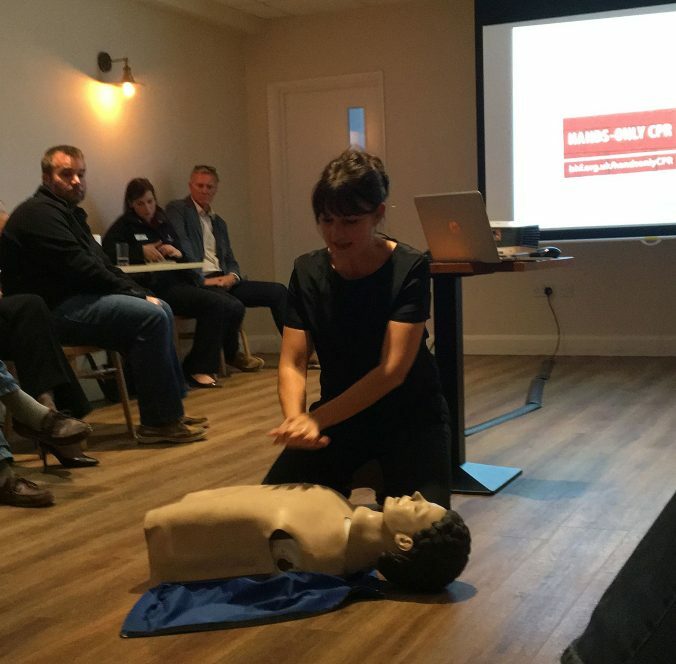 The next demonstration was the use of a defibrillator – something most people are vaguely aware of but wouldn’t know how to use one even if they had one in their hands. They have a vital role in resuscitation, and there are many defibrillators around the country accessible in an emergency so it is very useful to know how they work. Download the AED UK app on your phone or use Heartsafe on a browser to see where they are. A defibrillator is a completely automated way of doing a “re-boot” of a heart: Ctrl+Alt+Delete if you like. This stops the heart doing crazy things so it is more likely to respond to CPR. The machine needs to be connected to the patient, then it will analyse what needs to be done. The machine actually talks you through everything so you can’t do the wrong thing with it. Here’s a rather less amusing but very useful video showing how to use it. If you can’t attend a demonstration of Hands-Only CPR and a defibrillator I strongly recommend you at least watch these videos and replay them in your mind. It could help you save a life one day – maybe the life of a loved one. 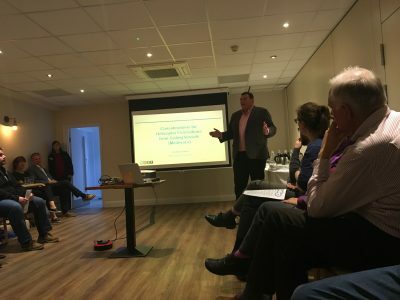 See a following post for a report of the Air-Sea Rescue presentation by ex-Navy pilot Jonathan Turner of MAST Consultancy on the same night.